FOR USA SALES: Contact Randy Bauer (310) 910-1113 bauergriffinsales@gmail.com.FOR UK SALES: Contact Caroline 44 207 431 1598 MUST BYLINE: EROTEME.CO.UK.Celebrity social network pictures. Kylie Jenner styled her white look with taupe pumps by Jimmy Choo. 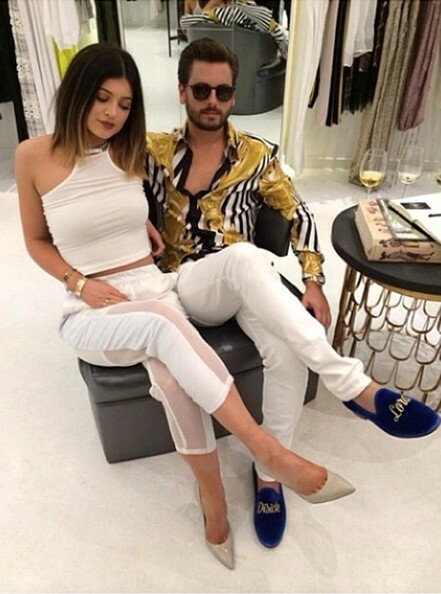 Kylie Jenner looked breezy in white mesh-panel capris by Avelon in this social media pic.